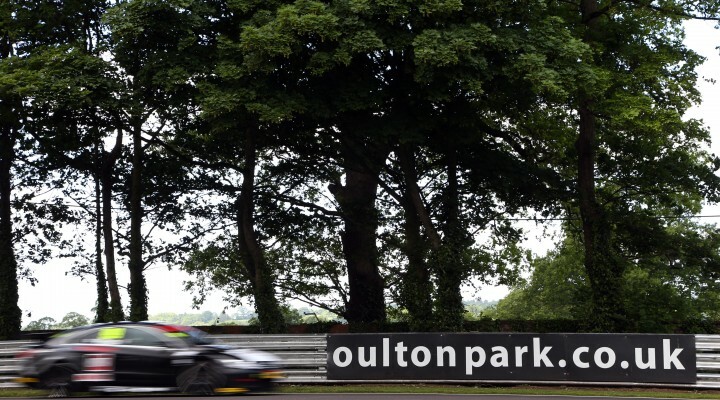 Jason Plato has set the fastest time in the first free practice session at Oulton Park. His time of 1:25.671s was nearly half a second quicker than his own lap record set here back in 2013. The double champion is already the most successful BTCC driver ever at the Cheshire track, having taken nine of his 90 wins here previously, and he’s immediately fired out a warning to his rival with a quite blistering lap. It was Plato’s team-mate Aron Smith who set the initial pace as he traded places with the WSR BMW of Rob Collard. Both continued to lower the bar in the early stages before Andrew Jordan’s MG also joined the party in the fight for fastest sector times around the picturesque 2.2-mile circuit. Times tumbled rapidly in the latter half of the session with Collard among those dropping down the order. Plato flung his VW CC through Oulton’s flowing corners with consummate ease to set his time while the rest scrapped for second more than six tenths off the ultimate pace. Tom Ingram claimed ‘best of the rest’ honours with an impressive performance in his Speedworks Toyota while Jordan and Smith fended off reigning champion Colin Turkington’s late charge. Turkington’s lap confirmed Team BMR’s pace-setting position with three of its cars in the top five places. Similarly, Jack Goff backed-up MG’s showing with sixth – the manufacturer having been the dominant force when the series last ran on this circuit configuration back in 2013. Andy Priaulx again enjoyed bragging rights in the BMW camp with seventh but the Triple World Champion will be keen to see his car running at the very front during qualifying. Josh Cook continues his impressive rookie season with eighth, whilst the ballast laden Hondas of Gordon Shedden and Matt Neal completed the top ten. 28 cars set times during the smooth running session – click here for the final classification from FP1 at Oulton Park. FP2 begins at 12:45.